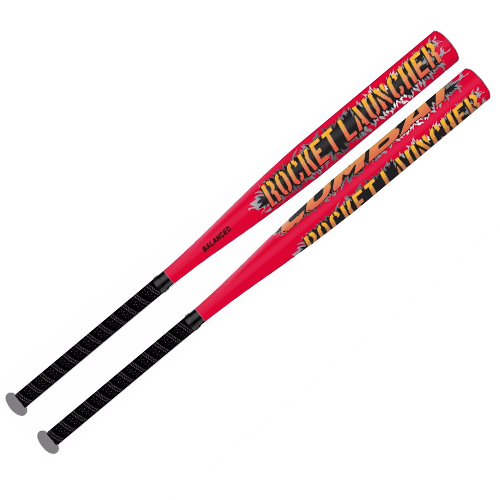 Blast one into the parking lot with the awesome power of the 2017 Combat Rocket Launcher. Its aircraft-grade composite body features a 13 inch barrel with a Triple Wall Design that greatly amplifies impact forces at the sweet spot, creating a rebound effect with explosive results. 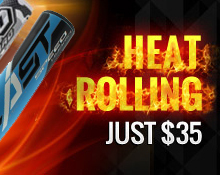 Its Tacky Spin rotation maximizes distance on solid contact by creating added rotation to help cut through air resistance, and its smaller end knob allows quick twitch hitters to generate maximum bat speed at the point of attack. The limited edition 2017 Combat Rocket Launcher is here to give your lineup the competitive edge this season.